I finished these a couple months ago, but just realized I never posted about them. 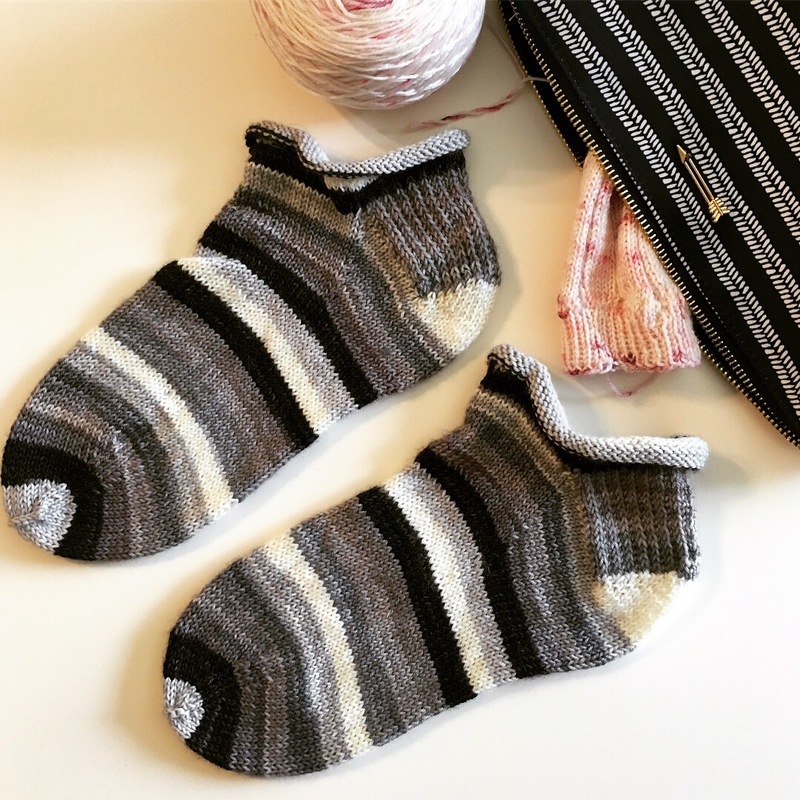 Shawn requested a pair of socks for his birthday and I thought this grayscale stripe, with the amazing name Eeyore’s rainbow, from Must Stash Yarns would be perfect. I love the pop of hot pink for the contrast cuff/heel/toe. It reminds my of Eeyore’s ribbon on his tail. I used this pattern again. 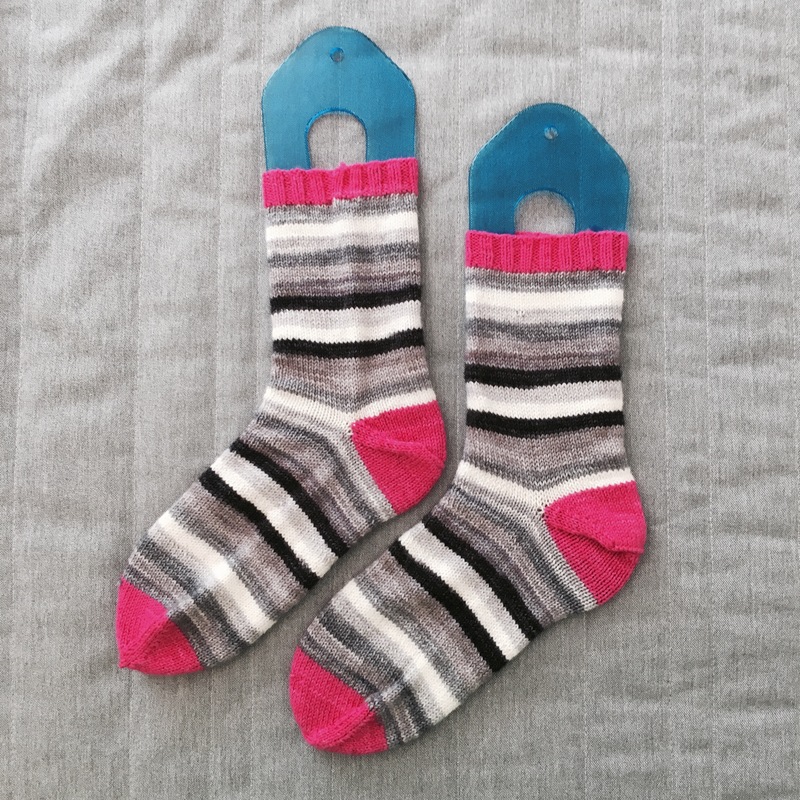 I had enough leftover to make a pair of Eeyore’s Rollers for myself using this quick and easy pattern. It’s perfect for using up that leftover yardage and I’m already planning my next pair. These were so fast to work up that I finished the pair while on our vacation in Hilton Head last month. They’re perfect for warm weather or wearing to bed!